Search Engine Optimization-SEO – Zizion – Revenue through innovation. Search engines are the gateway to the Internet. They’re typically the first place users go when looking for information. The success of your website, increased traffic, awareness, and revenue is dependent on good search engine rankings. NWOL’s search engine marketing services will be customized to meet your desired goals and objectives. Many factors influence the cost and time required to market your site in the search engines. These factors include your competition, what other marketing methods you have deployed, your business objectives and goals, your site’s content, theme and direction and of course your budget. It is imperative that NWOL works together with you to identify the best possible keywords so that they can target all your online marketing campaigns. To reach the proper audience it is essential that they do an intelligent keyword analysis. NWOL will create as many words and phrases that they feel are relevant to your company and target demographic audience. Then they will integrate these into your site and all of our online programs. NWOL will review in detail the current marketplace for your targeted keywords. It is not uncommon to find many companies competing for the same words even though they may not even be competitors of yours. NWOL does not want to create a competitive environment if they are able to take advantage of other opportunities and identify areas where they can help you take advantage. If you already have a website and are frustrated by low traffic and slow sales, but don’t want to invest thousands of dollars on an expensive long term SEO campaign, NWOL has the answer. Our fast optimization package is proven to increase traffic in days not months, and THEY will do all the work for you. NWOL’s local search optimization service will help you be found by people searching for local businesses. The number of people searching for local establishments continues to increase, so the opportunity to get more business from local search is also growing. NWOL is constantly studying the social networking arena and looking for opportunities to use social media to increase our clients’ website exposure. When properly executed, social profiles on social networking sites improve your image, build your brand, and send more traffic to your website. NWOL can create a social media optimization strategy that will work for your business. All the above WILL ensure that your website is in the best shape possible to get a good ranking on the search engines. Search Engine Optimization, and content optimization, is the most cost-effective way to market your medical practice. By developing unique and informative content you immediately separate your medical practice from your competition. 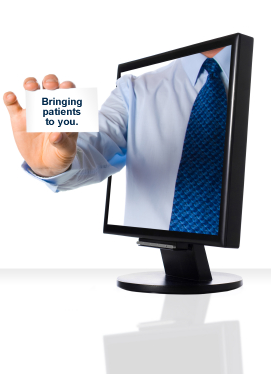 Your potential patients utilize certain phrases and keywords to find your medical practice website. It is important to understand your customers behavior and what they are typing to successfully market your future patients. Search engine optimization is always an ongoing process because Google always changes their search algorithms and people will always utilize different search habits when trying to find your medical practice. Our experience, attention to data and marketplace knowledge give our SEO services a distinct advantage.